We are establishing a TIA Graduate School system to develop human resources for the next generation. TIA Graduate School is educational infrastructure aiming to provide a higher level of education than any single university or research institute, taking advantage of outstanding TIA researchers and facilities. The system takes a variety of initiatives to develop skilled human resources. Nanotech Career-up Alliance (Nanotech CUPAL) is a project to foster young-generation researchers in the nanotechnology field. The project was launched in FY2014 with support from the grant-in-aid program for the development of human resources in science and technology, and is led by TIA and Kyoto University. TIA Graduate School Summer Open Festival provides students and young scientists with opportunities to gain up-to-date knowledge and skills in nanoscience/nanotechnology and to interact in an inter-organizational manner. 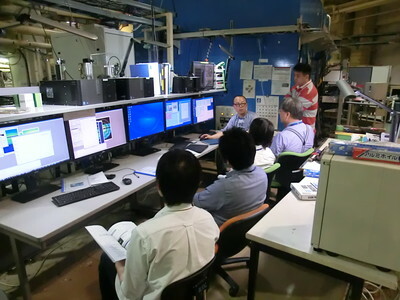 During the event, lectures, practical training sessions, and facility tours are given by leading researchers and industrial technical experts from Japan and overseas. Students and company researchers around Japan can be qualified to participate in the event. In addition, participants can attend lectures provided in English by prestigious professors from overseas universities, and thus enjoy an international flavor in Tsukuba. Some of these educational activities are equivalent to first-term doctoral classes at the University of Tsukuba, therefore signifying the high educational quality of the event. 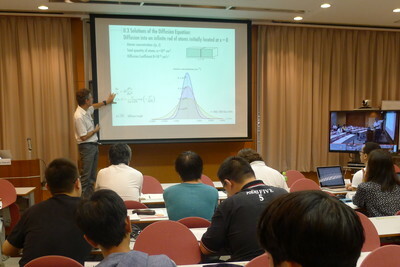 Since graduate school education is provided through collaboration of industry, academia and government, a "TIA Graduate School power electronics course" was opened in April 2013, combining two endowed laboratories at the University of Tsukuba (the Toyota Motor-Denso power electronics endowed laboratory and the Fuji Electric power electronics endowed laboratory) and employing AIST researchers as instructors (Cooperative Graduate School System). Through systematically learning power electronics as an academic discipline and conducting collaborative research in close cooperation with company researchers, students of this course are expected to play in the future an active role in companies, and succeed and further develop Japan's advanced power electronics technologies. The human resource development undertaken in this course is implemented with the cooperation of an industry-funded consortium operated as a collaboration of industry, academia and government and based on the Tsukuba Power-Electronics Constellations (TPEC). Cooperative Graduate School System : A system at the University of Tsukuba to provide education at its graduate school by employing researchers from research institutes as professors at the University of Tsukuba while keeping their status as institute researchers, and also using the research environments of those research institutes. TIA - AIST, NIMS, KEK, and University of Tsukuba - and Kyoto University, which are centers of industry-academia-government resonance fields interaction in the area of nanotechnology, are taking charge of providing education/training to young scientists in Nanotech CUPAL. CUPAL can provide ideal research and practical training settings supplemented by cutting-edge expertise and equipment. With these resources available, CUPAL offers Nanotech Research Professional (NRP) courses, which form a joint research program aiming to foster professionals who will lead the creation of new understandings in nanotechnology. CUPAL also offers Nanotech Innovation Professional (NIP) courses, which provide basic/practical training sessions to foster professionals who will lead innovative research in nanotechnology. Furthermore researchers and students from a wide range of industries, universities, and research institutes are also able to join the NIP courses.